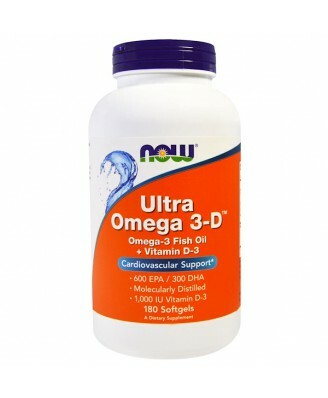 NOW Ultra Omega 3-D is Now Foods most potent Omega-3 formula, with 600 mg EPA and 300 mg DHA per softgel. Other Ingredients Softgel Capsule (bovine gelatin, glycerin, water), natural lemon oil and mixed tocopherols.Contains fish (anchovies, tuna, sardines) and soy (non-GMO mixed tocopherols).Not manufactured with wheat, gluten, corn, milk, egg or shellfish ingredients. Produced in a GMP facility that processes other ingredients containing these allergens. 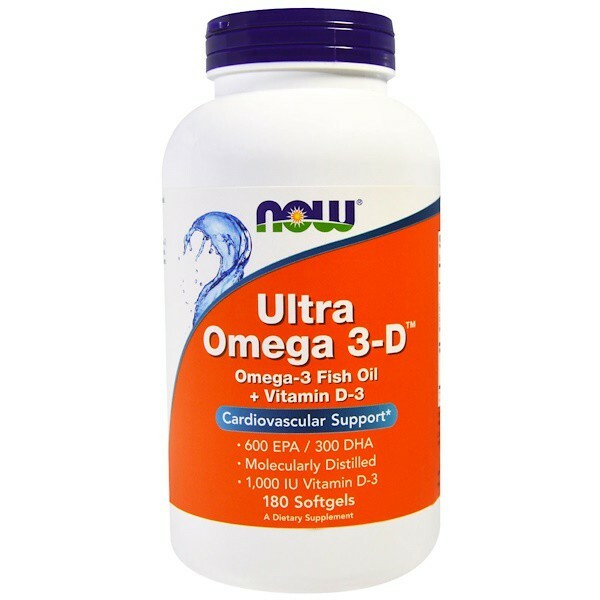 NOW Ultra Omega 3-D is Now Foods most potent Omega-3 formula, with 600 mg EPA and 300 mg DHA per softgel. This product is flavored with lemon oil also provides 1,000 IU Vitamin D-3. 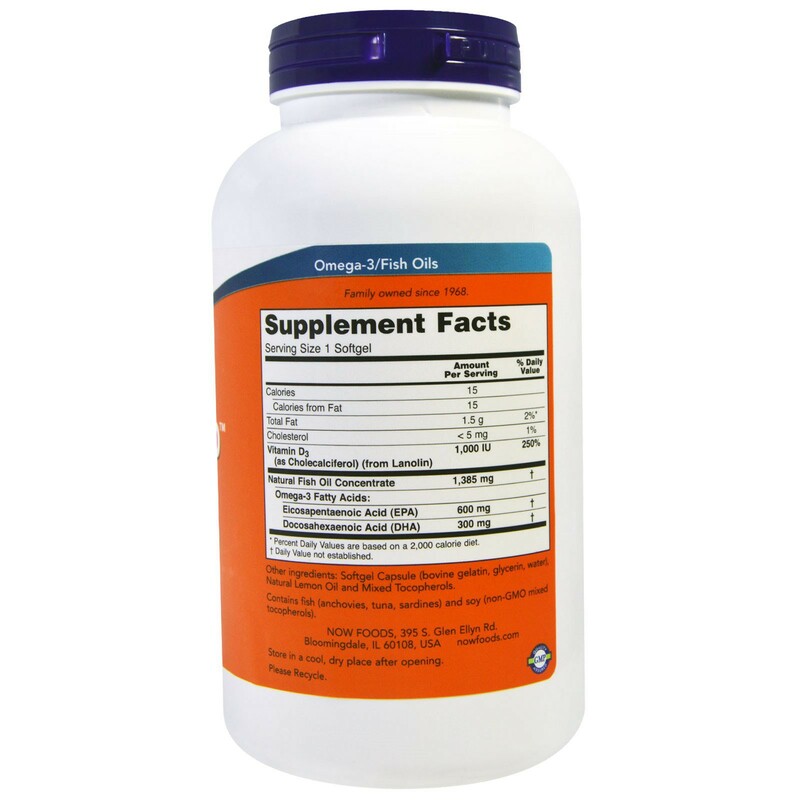 The natural fish oil concentrate used in this softgel is manufactured under strict quality control standards. It is tested to be free of potentially harmful levels of contaminants (i.e. mercury, heavy metals, PCBs, dioxins, and other contaminants.